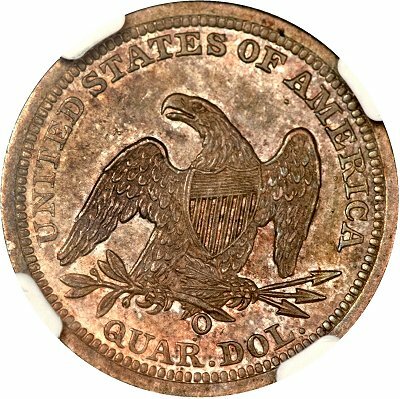 The January 2013 Heritage FUN auction was particularly unusual, and interesting for Liberty Seated Quarter variety collectors, because it featured not one, but two, high grade 1843-O Large O quarters. 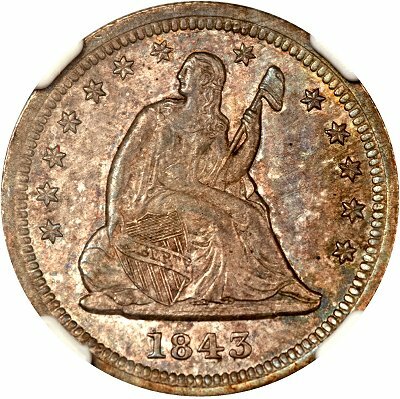 The finest known 1843-O Large O, which appeared in the recently concluded FUN auction, is the Eliasberg example (now in an NGC MS64 holder). 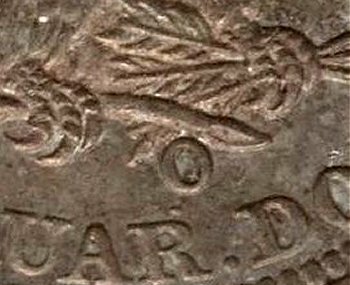 It is not merely the only known mint state example of the variety; it is amongst the finest known 1843-O quarters of either the large or the small O variety. 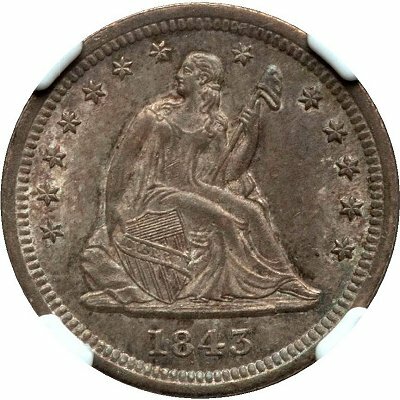 Its 1843-O small O competitors atop the condition census are a single NGC MS65, one other NGC MS64, and a lone PCGS MS64. The Eliasberg coin (Figure 1) was graded MS-65, raw, and sold for $14,300 in 1997 (Bowers 4/1997:1434). 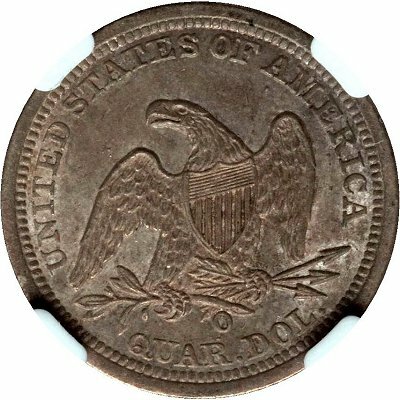 Diagnostic features of the 1843-O Large O variety have been detailed in Larry Briggs’ Comprehensive Encyclopedia of Liberty Seated Quarters (1991 Lima, OH), Issue 111 of the Gobrecht Journal, and the December 2011 e-Gobrecht.